Drones are fast becoming big business. Over the past couple of years, sales of drones have greatly increased, with this rise looking set to continue. 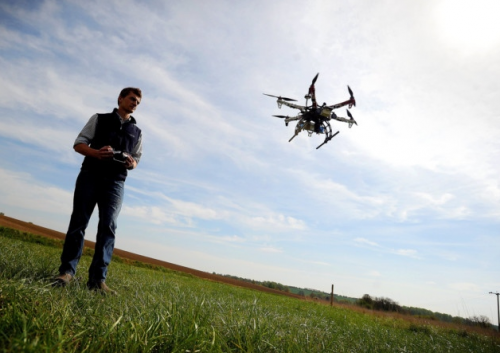 Big name companies are even recognising the usefulness of drones to their operation. One of the biggest examples of this is Amazon – who have come out with their Amazon Air idea. This new approach to delivery services would take drones and use them to deliver small packages. Sounds pretty amazing to us! But, what other uses might drones have in everyday life? Being able to take in the crowds at a big event such as a concert can be a tricky issue for those filming. It often involves the use of cranes or complicated large pieces of equipment. Drones could offer the perfect solution. They can fly over the crowd with ease – not only capturing everyone enjoying the show, but maybe even getting up close and personal with those on the stage. Anything that can help our brave rescue services is good by us. Drones can be flown in a variety of hard to reach places. And if they have a camera included, they can help rescuers find the best way to reach someone. Obviously, one of the difficulties here is that there is an increased chance that the drones themselves could get lost. To save someone’s life, of course, this may seem like a small price to pay. Or the people using the drone could simply attach a drone tracker device to keep on top of where the drone has got to – thus ensuring they don’t lose this valuable rescue operation tool and can use it again another day. Imagine how awesome it would be if you could order room service, only for it to arrive by drone? Not so far-fetched as it might first appear. There are quite a few risks involved with flying a drone inside a hotel, of course, with people milling about that could easily become an unwanted target. But if you can arrange outdoor access to the rooms somehow, you can see how the use of drones to deliver food and other items might actually be a possibility in the future. Being able to capture everything at a sporting event can be tricky. Drones allow for up close shots of the action without any risk to the person filming. They are also small enough not to interfere with the sport itself – as we’ve seen many times at football matches over the last couple of years. (Though there is obviously the risk of the drone itself being hit by a stray ball, of course!). Drones are also potentially useful for capturing the action at motor racing and other fast moving sports – especially in areas where the track may not be accessible to a conventional camera. Another great method of capturing the ‘perfect shot’ – in particular where the director may have a vision of upward movement or oddly spinning actions in the sky, which would be all but impossible to deliver with current film-making equipment. This idea isn’t limited to Hollywood blockbusters, of course. Amateur filmmakers can utilise drone technology for making their own mini epics. Get in touch if you can think of your own interesting uses for a drone that we haven’t covered here, and we might feature them on our blog in the future.